Mother Sparsh launches the best of all sensitive wipes for babies! A newborn’s presence is the most beautiful feeling in the world, isn’t it? Their scent, their skin, their smiles and innocence is the world’s best aura and ambiance. I personally feel that for a mother, her child is utmost precious and of great importance. The very important thing that first comes in our mind for baby care is their skin. A baby’s skin is the most sensitive and fragile. It is susceptible to an array of infections and allergies. Don’t you agree? Well, yes! We all do! From diapers to wipes to anything we use on their skin has to be pure and gentle as the newborn. Keeping this mind, Mother Sparsh has come up with an all new premium Water Based wipes which are 99% water based. One would ask how? Well, they have considered the baby’s sensitive skin and given it the most value, hence the launch. Let us dive into the features of this 99% Water Based Wipes. The wipes are absolutely made with 99% water and are also called and can be called as ‘soothing wipes’ for the babies as they keep the baby’s skin dry and supple and doesn’t allow for any harmful chemicals or parabens to penetrate into their skin. Isn’t that so assuring? Next up, the most important thing that a parent looks up into what they use for their kids is the composition of the product. 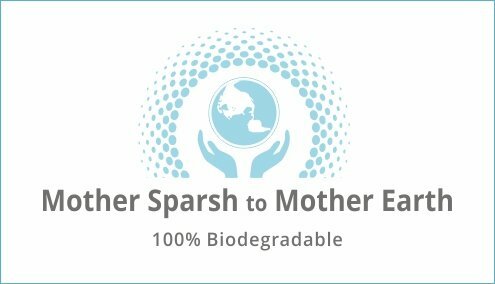 Mother Sparsh Water Based Wipes are made up of Medical Grade Fabric and are absolutely free of Alcohol or Parabens. Thus, it does no harm to the child’s sensitive skin and they are free of any infections and allergies. I guess, I haven’t heard of any other brand which assures one with so much of features and also, something that they really consider for the babies. Mother Sparsh Water Based Wipes are also unscented and have no fragrance this assuring that the baby’s skin is free from any breakout of allergies and infections. We must not forget that any skin product with fragrance can abruptly affect sensitive skin, be it of an adult as well, then imagine the damage done by scented skin products on a child’s skin! Hence, this very feature couldn’t have been neglected by Mother Sparsh as they wanted to have a go-to product for the newborns. And I guess, they have checked all the boxes right for newborns. Isn’t it? Well, Mother Sparsh Water Based Wipes are 3X thicker and user-friendly this allowing mums to do the needful with a single wipe, thus reducing wastage. Also, it is biodegradable, thus it gives back to nature and how! You can buy a pack of Newly Launched Mother Sparsh from here. I believe Mother Sparsh New improved Premium Water Based Wipes is the answer to a better child with a better skin. They have tried their best in improvising what was required and getting us the best available in the market. I absolutely recommend it and the packaging is so beautiful and handy. One can also carry it otherwise and is reasonably priced. 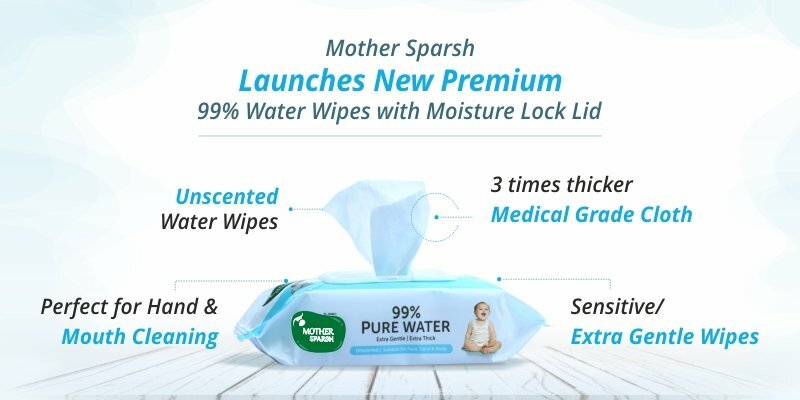 I believe one should definitely start using Mother Sparsh Water Based Wipes for their child’s as it is the answer to sensitive and fragile skin, indeed! Next Next post: Yami Gautam – Winning Hearts like few do!